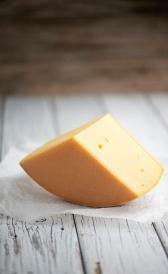 Tilsit cheese: Tilsit cheese is high protein, total lipid and ash. On the other hand. is low in carbohydrate, total dietary fiber and total sugars. Half and half fluid cream: Half and half fluid cream is low in carbohydrate, total dietary fiber and total sugars. Cultured sour cream: High in saturated fatty acid and low in protein, carbohydrate and total dietary fiber. Eggnog: In food has a low quantity of total dietary fiber, iron and sodium. Powdered cream substitute: Powdered cream substitute is high food energy, total lipid and carbohydrate. On the other hand. is low in water, total dietary fiber and calcium. Powdered dessert topping: This food is low in water, total dietary fiber and calcium but Powdered dessert topping has food energy, total lipid and carbohydrate in high quantity. Low sodium milk: In this food there are some nutrients that are found in low quantity, for example carbohydrate, total dietary fiber and iron. Dried buttermilk: This food is low in water, total dietary fiber and iron but Dried buttermilk has protein, ash and total sugars in high quantity. Mature human milk: In this food there are some nutrients that are found in low quantity, for example protein, ash and total dietary fiber. Indian buffalo milk: In food has a low quantity of carbohydrate, total dietary fiber and total sugars. Sheep milk: Sheep milk is low in carbohydrate, total dietary fiber and total sugars. Thick vanilla milk shakes: In food has a low quantity of total dietary fiber, iron and copper. Acid whey: Acid whey is low in food energy, protein and total lipid. Dried acid whey: Dried acid whey is high ash, carbohydrate and total sugars. On the other hand. is low in water, total lipid and total dietary fiber. Sweet whey: In food has a low quantity of food energy, protein and total lipid. Dried sweet whey: This food has a low quantiti of water, total lipid and total dietary fiber but has a high quantity of ash, carbohydrate and total sugars. Fresh raw whole egg: This food has a low quantiti of carbohydrate, total dietary fiber and total sugars but has a high quantity of selenium, pantothenic acid and choline, total. Fresh raw white egg: Fresh raw white egg is low in total lipid, carbohydrate and total dietary fiber. 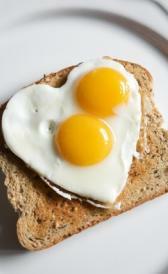 Fresh raw yolk egg: Fresh raw yolk egg is high total lipid, phosphorus and selenium. On the other hand. is low in carbohydrate, total dietary fiber and total sugars. Frozen raw yolk egg: This food is low in carbohydrate, total dietary fiber and total sugars but Frozen raw yolk egg has total lipid, phosphorus and zinc in high quantity. Fried egg: High in selenium, riboflavin and pantothenic acid and low in carbohydrate, total dietary fiber and total sugars. Omelet: This food is low in carbohydrate, total dietary fiber and total sugars but Omelet has choline, total in high quantity. Poached egg: This food has a low quantiti of carbohydrate, total dietary fiber and total sugars but has a high quantity of selenium, pantothenic acid and choline, total. Dried whole egg: Dried whole egg is high food energy, protein and total lipid. On the other hand. is low in water, carbohydrate and total dietary fiber. Dried yolk egg: Dried yolk egg is high food energy, protein and total lipid. On the other hand. is low in water, carbohydrate and total dietary fiber. Duck egg: This food is low in carbohydrate, total dietary fiber and total sugars but Duck egg has selenium, pantothenic acid and food folate in high quantity. Goose egg: This food has a low quantiti of carbohydrate, total dietary fiber and total sugars but has a high quantity of selenium, pantothenic acid and food folate. Quail egg: High in selenium, riboflavin and pantothenic acid and low in carbohydrate, total dietary fiber and total sugars. Turkey egg: Turkey egg is high selenium, pantothenic acid and food folate. On the other hand. is low in carbohydrate, total dietary fiber and total sugars. Powder egg substitute: High in food energy, protein and ash and low in water, total dietary fiber and manganese.